Google inadvertently and prematurely announced their next round of expansion today. 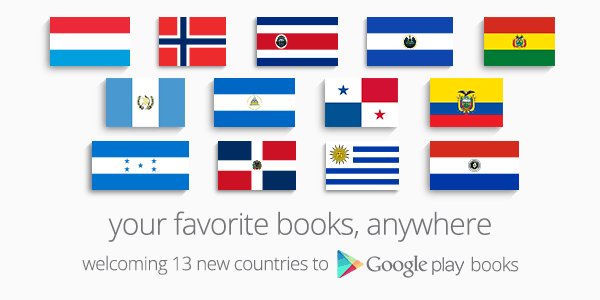 Counting Norway (whose local Google Play Books went live last week) and Luxembourg, Google has launched Play Books in 13 countries in the past week, bringing the total to 57. It looks like I was right when I guessed that the hiatus was over, which means that in the coming months we can expect to see Google launching Google Play Books in 6 to a dozen countries every 6 weeks or so. I would not be surprised to see Google Play Books available in 100 countries or more.